If you’re among the study group of the LEA Global research, you have reasons to be excited about 2019 and beyond. According to the report, 48% of manufacturers expect their international sales to increase in 2019. This bright future, however, doesn’t come without obstacles. The same paper also lists the three top barriers to growth; talent shortages, competition, and profitability. This basically means that this year, the top concern of manufacturing companies is being able to meet the demand, offer good pricing and lead times, and maintain high margins, all at the same time. How do they do it? By reducing waste and maximizing productivity. In other words, by becoming lean. The concept of lean manufacturing isn’t new but it’s still (or maybe more than ever) applicable to today’s manufacturing environments, making it very tempting for operations executives. Being lean, therefore, means maintaining or increasing the output while keeping the resources at the same—or even lower—levels. This doesn’t exclude hiring more workers or buying new equipment, as long as existing resources are fully utilized and the new addition is there to create direct value. Where manufacturing firms struggle with inefficient workflows, downtimes, excess work-in-progress items or inventory, and wasted time, lean methodology aims to redesign all processes and resources to focus solely on what creates value. The benefits? Higher margins, smoother management, happier customers. Everything that a manufacturing company of 2019 needs. Although lean manufacturing is about smoothing out your operations, the path to lean is not always without issues. The challenges start right at the beginning, with the question of how to identify inefficiencies. What is your profitability per order? What affects your capacity and how long does each process take to complete? What is the ratio of value-added vs. non value-added time of your workers? What exactly causes the unproductive time? Is the machine used at its full capacity? Are you able to provide quantifiable answers? Many companies may have anecdotal insights but these are usually biased and always inexact. Others use clock-in systems which are more accurate but prone to error and missing a lot of data on what’s really happening during each job and between different jobs or stations. This means that in the majority of cases, operations executives are left with guesswork, which is rarely the path to good conclusions. And it only gets worse as you progress on your own lean path. How will you know if you’re improving or not if there’s no data you can base your assessment upon? Accurate data is key to helping you make decisions that take into consideration all parts of your facilities along with their cross-dependencies. Only then can you evaluate whether your lean efforts are successful. At this point, it’s only fair to ask where all this accurate data is supposed to come from. The answer is simple—from technology that digitizes all your workers, assets, and workflows. In other words, the Internet of Things (IoT). Think about it this way: you can’t follow each worker, forklift, and pallet with a stopwatch and notepad to track their activities. But if the worker, forklift, and pallet are digital, and each of their activities creates a digital footprint, not only can you track them individually; you can track them and their counterparts at scale and over time. Click — and you see what the worker is doing. Click — you see what he was doing last week. Click — now you compare him against his shift colleagues. Click — you check the completion status of the order. Click — you get a report on all downtimes this week and analyze what caused them. Click — you get the point. That’s what IoT is about. It means creating a visual representation of your facility and all its workers, machines, equipment, and other assets so you can analyze them with any level of granularity or generality that you need. IoT enables you to generate data on asset location, flow, and productivity, and tie it into your workflows. Because the process of data collection is fully automatic, IoT gives you unprecedented visibility into your operations without creating any additional reporting burden for your workers or their supervisors. Whenever you want to see how a worker, shift, or the entire facility is performing—or how they’ve performed in the past—you open your IoT application and all of the data is there: accurate, clean, and often visualized in the form of spaghetti diagrams, dashboards, or heat maps. 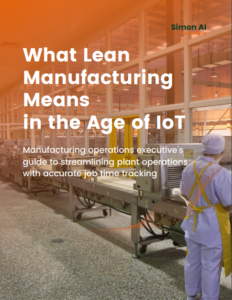 So what does lean manufacturing in the age of IoT mean? 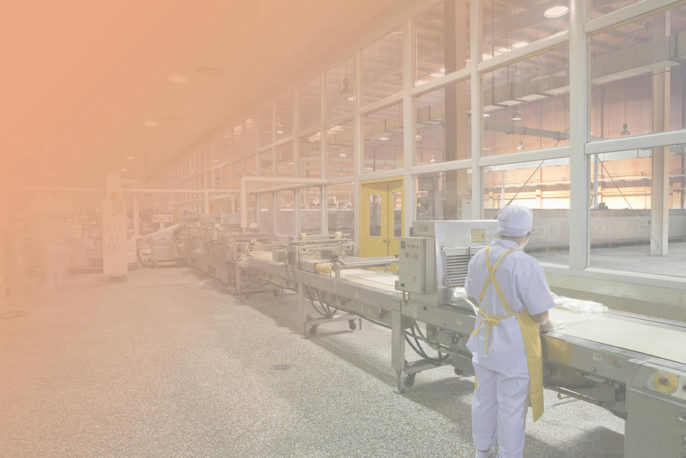 Can you implement the principles of lean manufacturing without Internet of Things? You definitely can. After all, the philosophy was inspired by the operations of Toyota from the IoT-less eighties. But it’s not without reason that the philosophy of lean manufacturing is experiencing a renaissance right now. The rise of the Internet of Things and other digital transformation technologies take the initial concept to a whole new level, providing operational transparency Toyota couldn’t have dreamed of. IoT-enabled lean is then about leveraging data to make the right decisions, improving faster, and making fewer mistakes along the way (or being able to quickly adjust). This perfectly addresses the industry-wide “need for speed”. As the KPMG 2019 Global Manufacturing Report states, nearly two-thirds of manufacturing CEOs say that “acting with agility is <<the new currency of business; if we’re too slow, we will be bankrupt>>”. If you haven’t gone lean yet, now’s the perfect time.